Samir is managing director, providing technical leadership for the recently announced AI Fund. He will also lead investment activities in other key frontier technology areas such as quantum computing and autonomous vehicles. Prior to this, he was senior director for business development and product management in Qualcomm’s corporate R&D division. In this role, he led early stage product validation, partnerships, acquisitions & strategy for embedded/on-device deep learning. 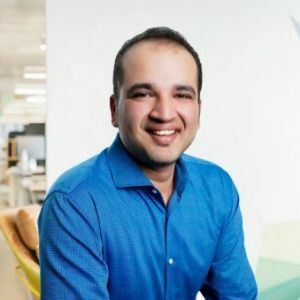 Samir started his career at Microsoft and spent several years in Redmond leading product management/product planning efforts for enterprise mobility before heading to Palm, Samsung, and Qualcomm. He holds a Bachelor’s of Science degree in mechanical engineering from Cornell University.